Medicine isn’t just the little bottles of pills you get at the pharmacy. You can find medicines all over the natural world, and some of them have probably made their way into your kitchen. In fact, your kitchen is already full of natural methods for healing and revitalization if you know where to look. The following natural medicines can be used for everything from menstrual cramps and nausea to acne and constipation. Well known as a prominent ingredient in pesto, basil can also help unclog pores, fight bacteria, and cleanse the skin. Mashing basil into a thick paste and applying it to your skin can prevent blackheads and remove warts. It’s also been shown to lessen irritation caused by snake and insect bites. Consuming basil orally can settle the stomach, stimulate appetite, and combat everything from intestinal gas to head colds and worm infections. Consuming apple cider vinegar is known as a highly effective treatment for acid reflux and sore throats. Apple cider vinegar can also be used as foot soak to get rid of toenail fungus. You can even rinse your hair with it to add shine and use it as a facial toner to fight acne. This one’s a classic. 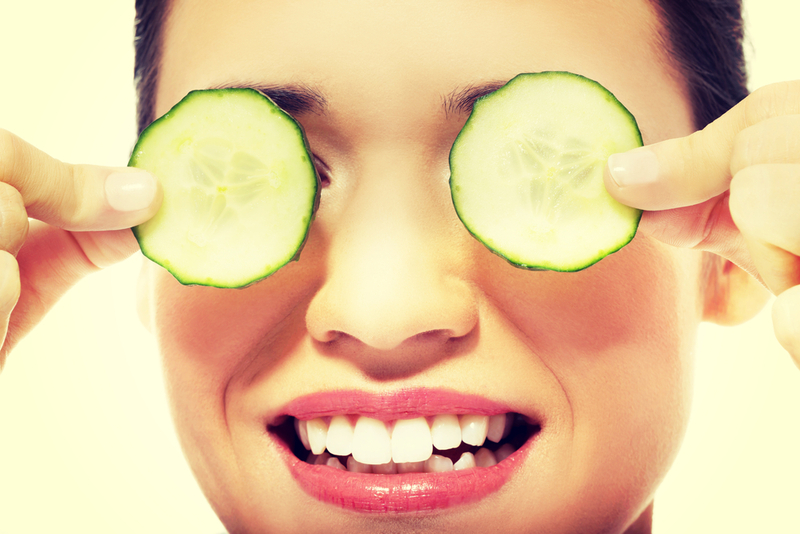 Everyone’s seen people wear cucumbers on their eyes to reduce puffiness. But few know the cucumber can soothe and hydrate the skin more generally. It’s one of the most natural anti-aging tools in the world. Splashing cucumber juice on your face and neck can do wonders. Or for a more intensive treatment, try making a cucumber puree and applying it to any part of your skin that needs rejuvenation. Be sure to leave it on for at least 30 minutes before you rinse off. Coconut oil is the MVP of natural medicines commonly found in the kitchen. It’s medicinal uses are practically endless. It’s an excellent moisturizer and healing ointment that penetrates the skin without drying it out. On top of that, it can be used as a hair conditioner, a lip balm, a makeup remover, dandruff reducer and exfoliating body scrub. Coconut oil also combats fungal infections, cold sores, rashes, and constipation. A few mint leaves can go a long way. 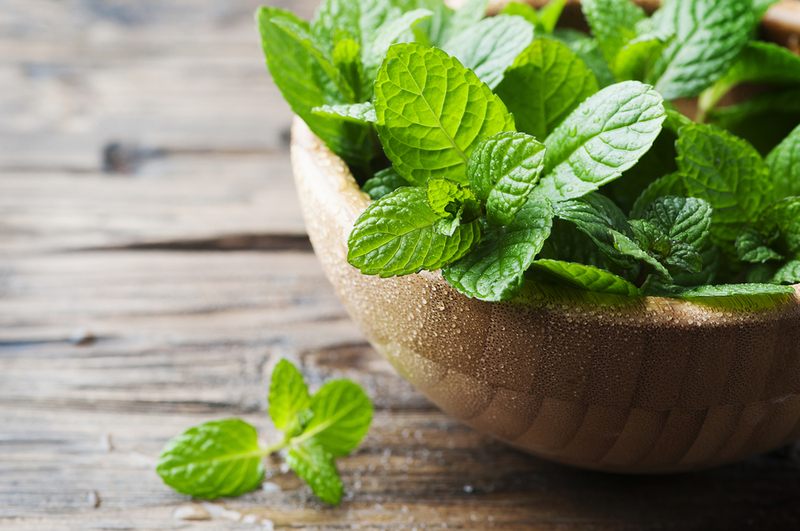 Whether they’re submerged in water, brewed in a tea or sprinkled over a salad, mint leaves can ease menstrual cramps, boost digestion, and improve immune system function. You can also use mint as scalp treatment, hair rinse, or skin toner. Here’s how: boil mint leaves in water until the water reduces by half, then cool the water and apply. You can aid hair growth, lighten scars and blemishes, and fight acne with this method. Ginger is a powerful medicine employed more readily outside the Western tradition. Use it to remedy inflammation, bloating, nausea, indigestion, and menstrual cramps. Sliced ginger in water or a smoothie can go along way. You can also make tea or even use it in cooking to achieve similar results. Turmeric is increasingly being recognized as something of a wonder spice. 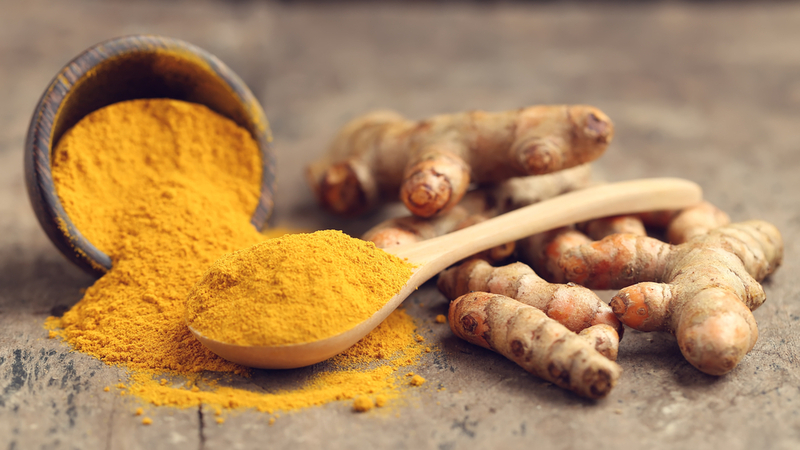 An ingredient in curry, oral consumption of Turmeric can help fight throat infections, reduce the risk of stroke, and slow down the aging process. When mixed with sandalwood powder and a little water, it can reduce the appearance of acne when applied to the face. It can also even out skin tone and even give skin a glowing appearance when used as a body scrub. Humble oats have more to offer than their traditional role as a low calorie, constipation-reducing breakfast food. Combining oatmeal with milk makes for a terrific facial cleanser that moisturizes the skin. Lemon juice is a utility player in both the culinary and medical worlds. Lemon juice is great for relieving sore throats. When combined with other ingredients such as honey, ginger, garlic or pineapple juice, it can fortify the immune system against flu, improve digestion, and aid in weight loss. Daubing the scalp with olive oil and washing it off after 6-8 hours is a natural way to thicken hair and boost cranial hygiene more generally. So next time you’re in your kitchen, take stock of all the items with medicinal and hygienic uses. Your spice rack alone is a treasure trove of natural aids and remedies. Sometimes, you may already have the cure right at home.